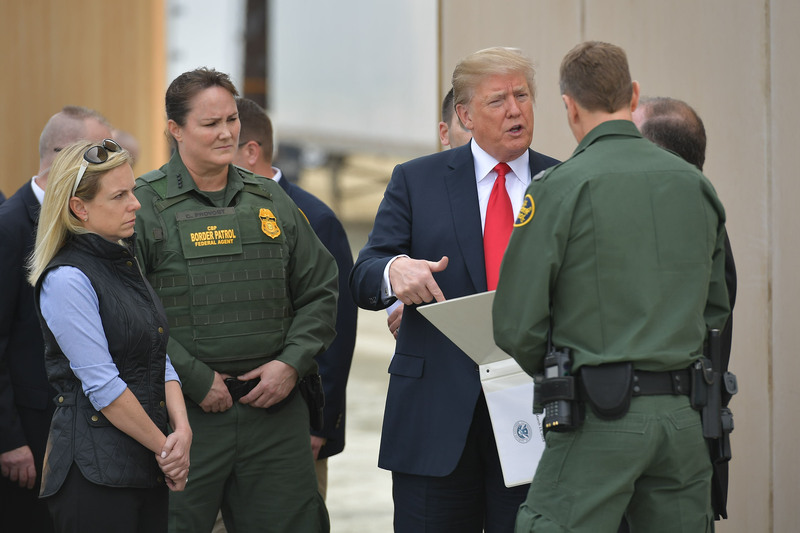 A group of Republican senators introduced legislation Wednesday to fully fund construction of a wall along the U.S.-Mexico border. GOP Sens. Ted Cruz, Mike Rounds, Jim Inhofe and John Kennedy introduced The WALL Act into the Senate, which would fund the border wall in full while also providing specific sources of funds. In order to finance the wall, the legislation would require refundable tax credit beneficiaries provide work-eligible Social Security numbers in order to receive benefits, require welfare applicants prove U.S. citizenship, raise the minimum fine for illegally crossing into the U.S., and enact minimum fines on individuals who overstay their visa. The legislation comes as Congress passed a two-week funding bill to avoid a government shutdown — it will provide both Republicans and Democrats ample time to debate funding for the border wall.